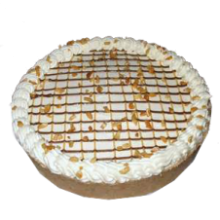 Description: Available Sizes: 9 inches Available Flavors: Butter crust filled with vanilla cream and chucks of ripe bananas topped with cashew nuts, chocolate ad caramel syrups on whipped cream icing. Shipping Delivery: Metro Manila Delivery. Please Note: Place order at least TWO (2) days Lead Time prior to delivery date. cut-off time at 1:00 PM Philippine Standard Time. Your purchase includes a complimentary personalized gift card. 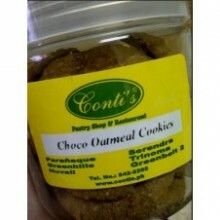 Almond Choco Sansrival by Contis Cake. 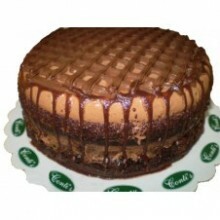 Product Code: contiscake_20 Delivery: Metro Manila Description: Available Sizes: 8" inches Regular Available Flavors: Layers of thin wafer coated with chocolate butter icing topped with roasted almond sticks. Shipping Delivery:​ Metro Manila Delivery Only. Please Note: Place order at least TWO (2) days Lead Time prior to delivery date. Cut-off time at 1:00 PM Philippine Standard Time. Your purchase includes a complimentary personalized gift card. 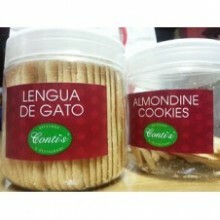 Description: Available Sizes: 148 grams ( Container/ Jar ) Available Flavors: These are super yummy stuff very good almondine cookies. Shipping Delivery: Nationwide Delivery. Please Note: Place order at least TWO (2) days Lead Time prior to delivery date. Cut-off time at 1:00 PM Philippine Standard Time. Your purchase includes a complimentary personalized gift card. Description: Available Sizes: 1 pc. Box of 12 Available Flavors: An asado usually consists of beef alongside various other meats, which are cooked on a grill, called a parrilla, or an open fire. Shipping Delivery: Metro Manila Only. Please Note: Place order at least TWO (2) days Lead Time prior to delivery date. Cut-off time at 1:00 PM Philippine Standard Time. Your purchase includes a complimentary personalized gift card. Description: Available Sizes: HALF Size ( 15 pcs. ) WHOLE Size ( 30 pcs.) Available Flavors: Creating unique and delicious desserts. 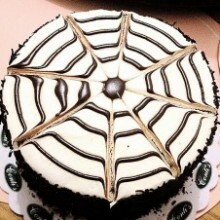 Whether you are looking for a cake, tart or specialty dessert you’re sure to be delighted with our selection. 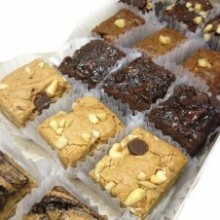 The style and presentation of these beautiful and flavorful bars. Shipping Delivery: Metro Manila Only. Please Note: Place order at least TWO (2) days Lead Time prior to delivery date. Cut-off time at 1:00 PM Philippine Standard Time. Your purchase includes a complimentary personalized gift card. Description: Available Sizes: 1 Loaf Bread Available Flavors: Banana bread is a type of bread that uses yellow bananas as the main ingredient. 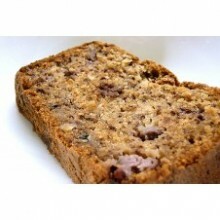 It's also light and moist, with the natural sweetness of sticky bananas. Shipping Delivery: Metro Manila Only. Please Note: Place order at least TWO (2) days Lead Time prior to delivery date. Cut-off time at 1:00 PM Philippine Standard Time. Your purchase includes a complimentary personalized gift card. Products may not be exactly as shown. Actual product may differ than product images displayed. 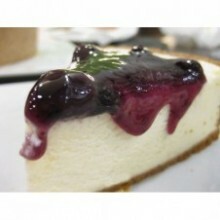 Description: Available Sizes: 8" inches (Mini) Available Flavors: Light, creamy cheesecake on graham crust topped with ripe mangoes. Shipping Delivery: Metro Manila Delivery. Please Note: Place order at least TWO (2) days Lead Time prior to delivery date. Cut-off time at 1:00 PM Philippine Standard Time. Your purchase includes a complimentary personalized gift card. 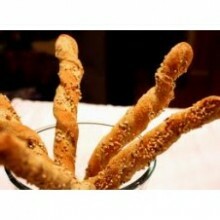 Description: Available Sizes: 150 grams Available Flavors: These are super yummy stuff the Bread Sticks. You can try dipping their twisted bread stick into the soup for added texture. Shipping Delivery: Nationwide Delivery. Please Note: Place order at least TWO (2) days Lead Time prior to delivery date. Cut-off time at 1:00 PM Philippine Standard Time. Your purchase includes a complimentary personalized gift card. Description: Available Sizes: 1 Loaf Bread Available Flavors: Butter Loaf. 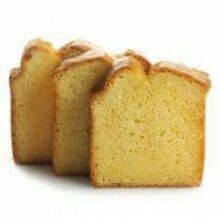 Indulge yourself with the rich taste of pure butter in our All Butter loaf and no one can resist. 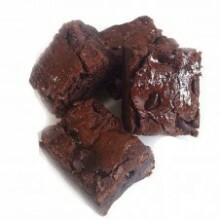 Eat it any time of the day for a decadent snack. Shipping Delivery: Metro Manila Only. Please Note: Place order at least TWO (2) days Lead Time prior to delivery date. Cut-off time at 1:00 PM Philippine Standard Time. Your purchase includes a complimentary personalized gift card. Products may not be exactly as shown. Actual product may differ than product images displayed. Description: Available Sizes: HALF Size ( 15 pcs. ) WHOLE Size ( 30 pcs.) Available Flavors: These chewy Butterscotch Bars get a delicious kick from browned butter, for a wonderfully rich and sweet cookie bar! Shipping Delivery: Metro Manila Only. Please Note: Place order at least TWO (2) days Lead Time prior to delivery date. Cut-off time at 1:00 PM Philippine Standard Time. Your purchase includes a complimentary personalized gift card. Description: Available Sizes: HALF Size ( 15 pcs. ) WHOLE Size ( 30 pcs.) 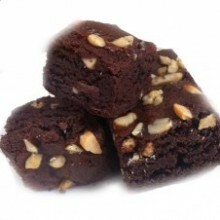 Available Flavors: A must-try for brownie lovers that surprises the palate with multiple infusions of chocolate and crunchy cashew topping. Shipping Delivery: Metro Manila Delivery Only. Please Note: Place order at least TWO (2) days Lead Time prior to delivery date. Cut-off time at 1:00 PM Philippine Standard Time. Your purchase includes a complimentary personalized gift card. Description: Available Sizes: 1 pc. 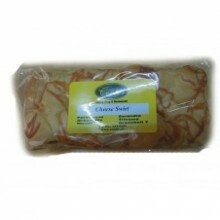 Box of 8 Box of 12 Available Flavors: This notoriously delicious Cheese Puffs. It looked like an ordinary pastry. 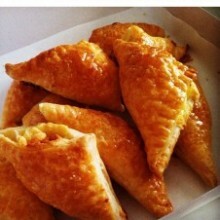 It was crispy and sweet with a hint of cheese taste with hot cream cheese filling. Shipping Delivery: Metro Manila Delivery Only. Please Note: Place order at least TWO (2) days Lead Time prior to delivery date. Cut-off time at 1:00 PM Philippine Standard Time. Your purchase includes a complimentary personalized gift card. Description: Available Sizes: 1 pc. 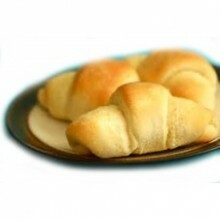 Box of 12 Available Flavors: The cheese roll taste like Otap baked to perfection with cheese inside it, similar in texture to a croissant. Shipping Delivery: Metro Manila Only. Please Note: Place order at least TWO (2) days Lead Time prior to delivery date. Cut-off time at 1:00 PM Philippine Standard Time. Your purchase includes a complimentary personalized gift card. Products may not be exactly as shown. Actual product may differ than product images displayed. 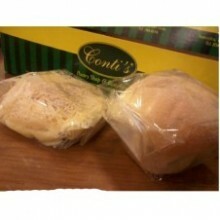 Description: Available Sizes: 1 Loaf Bread Available Flavors: Conti's cheese swirls is not the usual cheese bread that you're going to be fed up with. Every bite is like a potion that will make you want more. Shipping Delivery: Metro Manila Only. Please Note: Place order at least TWO (2) days Lead Time prior to delivery date. Cut-off time at 1:00 PM Philippine Standard Time. Your purchase includes a complimentary personalized gift card. Description: Available Sizes: 1 pc. 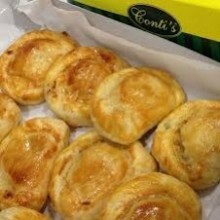 Box of 8 Box of 12 Available Flavors: This notoriously delicious Chicken pie. It looked like an ordinary pastry. It was crispy and chicken filling. Shipping Delivery: Metro Manila Delivery Only. Please Note: Place order at least TWO (2) days Lead Time prior to delivery date. Cut-off time at 1:00 PM Philippine Standard Time. Your purchase includes a complimentary personalized gift card. Description: Available Sizes: HALF Size ( 15 pcs. ) 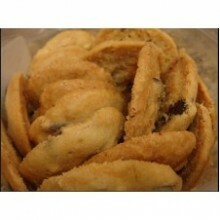 WHOLE Size ( 30 pcs.) 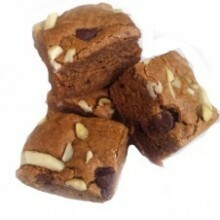 Available Flavors: Chocolate Chip Brownies are a chocolate lover's dream with a hint of vanilla and a dash of chopped nuts for texture. Perfect for all occasions. Shipping Delivery: Metro Manila Only. Please Note: Place order at least TWO (2) days Lead Time prior to delivery date. Cut-off time at 1:00 PM Philippine Standard Time. Your purchase includes a complimentary personalized gift card. Description: Available Sizes: 148 grams ( Container/ Jar ) Available Flavors: These are super yummy stuff the Chocolate Chips cookies. Shipping Delivery: Nationwide Delivery. Please Note: Place order at least TWO (2) days Lead Time prior to delivery date. Cut-off time at 1:00 PM Philippine Standard Time. Your purchase includes a complimentary personalized gift card. Description: Available Sizes: 148 grams ( Container/ Jar ) Available Flavors: Chocolate lovers will love the chips, and whole-grain seekers will appreciate the natural oats. Shipping Delivery: Nationwide Delivery. Please Note: Place order at least TWO (2) days Lead Time prior to delivery date. Cut-off time at 1:00 PM Philippine Standard Time. 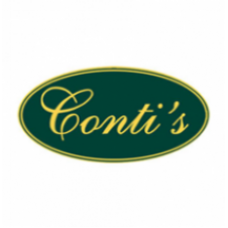 Your purchase includes a complimentary personalized gift card.